Home > World of Apaiser > News > apaiser bathware featured in Australias most expensive and exclusive hotel. 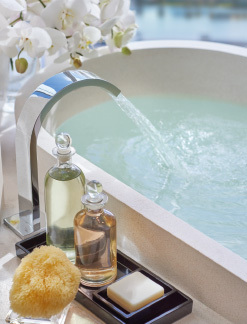 apaiser bathware featured in Australias most expensive and exclusive hotel. 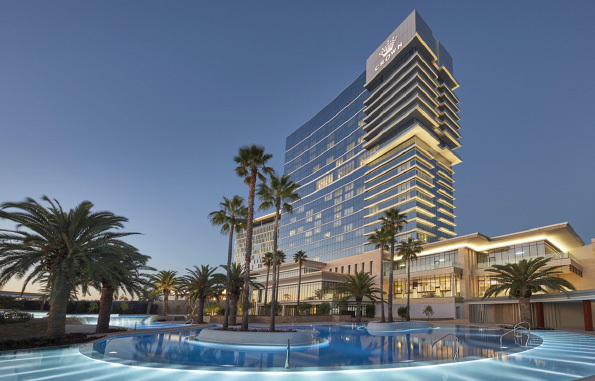 After one of the most ambitious construction projects in Australian hospitality ever attempted, the ultralavish Crown Towers Perth is now open. Boasting 500 spacious rooms, spread across 23 storeys, it is all about the detail as much as the vision that makes Crown Perth, Australia’s outstanding resort. In realizing this ambitious design Crown personally selected apaiser to create bespoke baths and vanities to amplify the luxury and timeless nature of the design intent. Celebrating the Western Australia coastal lifestyle with its oversized pools and outdoor entertainment areas, the guestrooms are sympathetically decorated in soothing neutral tones, to continue this design aesthetic into the room. The large baths with rear plinths and double integrated vanities by apaiser were created to add to the luxurious guest experience, that Singapore’s interior architect Michael Fiebrich and Melbourne’s design firm Bates Smart, envisaged as a statement in sumptuous bathing and relaxation that is wholly attuned to the level of sophistication this remarkable project delivers! Sheer indulgence in a truly inspiring location !